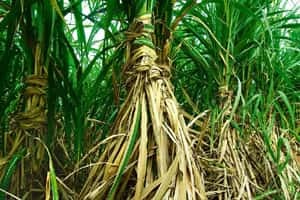 New Delhi: A panel formed by the government in 2006 has proposed the creation of a $2 billion fund to boost so-called secondary agriculture, including the extraction of oil from rice bran, milk from soya bean and industrial chemicals and biofuel from sugar cane, an official said. “Since agri-related activities are spread across several (Central) ministries, the committee has (also) recommended that a central office coordinating the activities of different ministries be set up in the Planning Commission," said the government official, who didn’t wish to be named. The panel, called the Technical Advisory Committee for Secondary Agriculture, or Tacsa, may submit its draft report on ways to promote secondary agriculture to the Planning Commission deputy chairman Montek Singh Ahluwalia shortly, the official added. Secondary agriculture typically includes activities such as extracting vitamins from food grains, medicines from herbs, fibre boards from rice straw, oil from rice bran and so on. The 15-member committee, headed by D.P.S. Verma, a professor in the department of molecular genetics and plant biotechnology at the Ohio State University in the US, has also suggested the creation of an expert panel to support agriculture-led industries. Members of Tacsa include V.L. Chopra, a member of the Planning Commission, some non-resident Indians and representatives of industry and agricultural research institutions. Tacsa’s draft report, a copy of which was reviewed by Mint, suggested setting up the fund — called the secondary agriculture innovation fund, or SAIF — during the 11th Plan (2007-12). Agriculture, which provides a living to some 70% of India’s population, accounts for just 19% of the country’s gross domestic product. Development of secondary agriculture may help raise the sector’s contribution threefold, according to Tacsa. The panel suggested that SAIF be treated as a venture capital (VC) fund with expected returns in a defined time period. It called for an equal contribution to be made by domestic and international VC funds and expects to raise the effective investment in the fund eventually to nearly $6-8 billion. The report suggested renaming the ministry of food processing as ministry of bio-processing, which will include non-food agriculture-related industries. “The fund (should) be managed by an autonomous special purpose vehicle (called Secondary Agriculture Innovation Fund Ltd) with the sole purpose of building innovative bio-processing ventures, to operate as a business and administered by the ministry of bio-processing," it said. Some experts, however, say that too much emphasis is being laid on the initial capital. “Capital is no more a problem with a number of corporates getting into retailing of agriculture produce as also contract farming," said Y.K. Alagh, chairman of the Institute of Rural Management Anand. “Also banks and cooperatives are putting in money. So I don’t know how will venture capital help." He cited initiatives such as the Tata group’s Kisan Sansar network, which uses remote-sensing technology to analyse soil and crop health and inform farmers about pest attacks, helping them produce better crops and higher yields. DCM Shriram Consolidated Ltd runs rural stores known as Hariyali Kisaan Bazar that retail farm products.